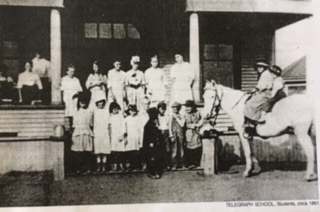 When Telegraph School District annexed the Eliott School District the name of the district was changed to Oak View School District on June 10, 1929. On July 5, 1932 the Huston School District was annexed to Oak View Union. With the student body growing, the district passed a $20,000 bond on July 10, 1929. 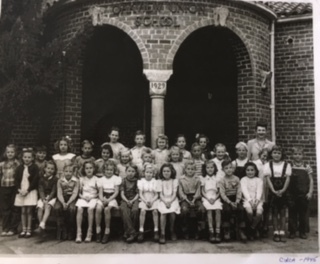 The new school had four rooms and was in use until 1946 when two classrooms, an office and a teacher’s room were added. 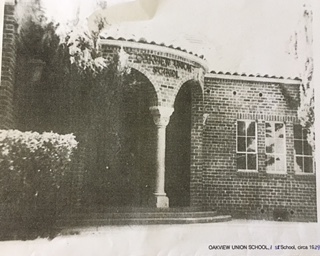 In 1961, $110,000 addition was built that included two wings of three rooms each, as well as a new office because the old office had been converted to a classroom. A multi-purpose cafeteria section was also added. The old Telegraph School disappeared, probably after the 1961 construction. From about 1990 to 2003, three additional wings with three classrooms each were constructed using district funds. 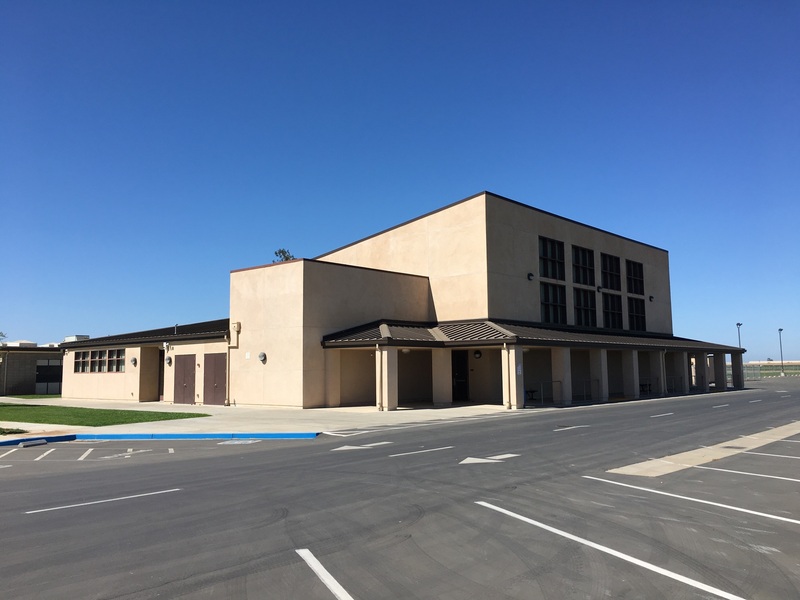 In 2008, a $2.9 million bond was passed in order to build a new building that would house a gym/cafeteria, kitchen, stage and teacher’s lounge which was completed in 2012. The building from 1946 was demolished to make way for a new parking lot. The elementary school still functions at 7474 E. Collier Road in Acampo, with grades Kindergarten through eighth attending. Graduates attend Galt Joint Union High School District in Sacramento County. District boundaries are roughly east of HWY 99 and west of HWY 88, south of Dry Creek and north of Jahant Road. The school district is comprised of one school and the Superintendent also serves as the Principal. An area north of Lockeford was first known as Hawk’s Corners. In 1863 the section was renamed Elliott in honor of pioneer rancher J. Elliott. 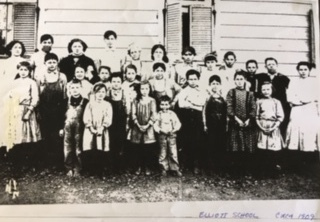 Historians have noted that there was a school in the area as early as 1858, but records indicate that the Elliott School began on February 26, 1870, although the school district had been formed as early as 1855. The earlier school may have been completely supported by the townspeople, thus no governmental records. Historians also note that the early school may have had two teachers, indicating that there was a large enrollment. However, the San Joaquin County School Census of 1864 notes that this was a “new district” and there were no children at the school. The 1875 and 1890 census show that the number of pupils was an average, 33 to 29 students, and these low numbers did not require more than one teacher. By the turn of the century there was only one store and the schoolhouse in the town. 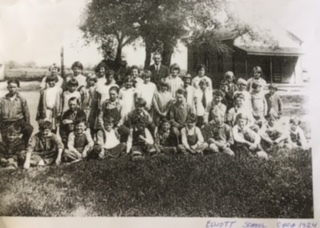 On June 10, 1929, Elliott School was annexed to the new Oak View Union School District. Telegraph School District was formed on May 8, 1861 in Elliott Township. 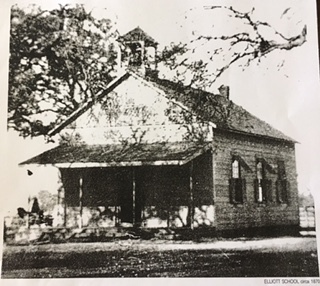 The schoolhouse was located near Dry Creek and students attended the institution the first year it opened, with an average daily attendance of 23. The original schoolhouse was a one-room building. The number of students was pretty consistent until the 1890’s, when there was a large increase. On April 13, 1907 the district passed a $2,000 bond to build a schoolhouse. 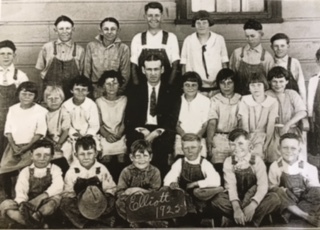 On June 10, 1929 the district annexed the Elliott School District and the name of the Telegraph School District was changed to Oak View Union School District. The Dry Creek School District, which was located in the northeast section of San Joaquin County, apparently began operations in 1859. During the district’s early years attendance was fairly good but by 1880 the district’s enrollment had begun to decline. 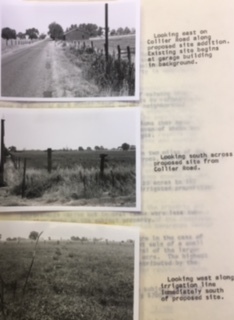 The formation of other school districts in the vicinity was one of the reasons for this. In 1909 Dry Creek School was suspended due to lack of attendance. 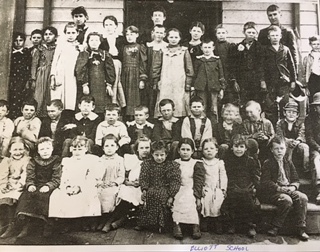 In 1911, parents petitioned the Board of Supervisors, stating that the eight children were ready to attend Dry Creek School. The district was granted a temporary reprieve until 1920 when Dry Creek District was suspended for good.